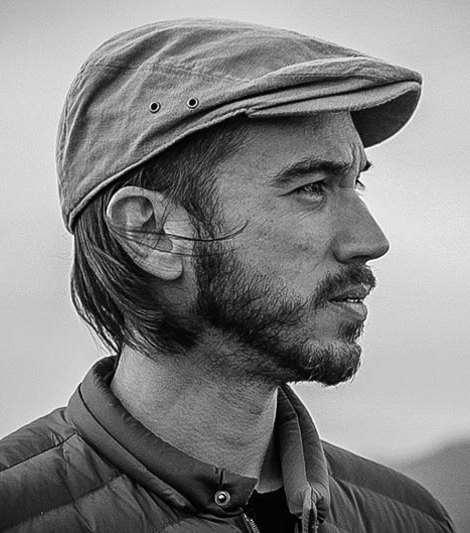 Steve Petersen is an award-winning, Cuban-American, filmmaker who has extensive experience directing live-action and VFX. He speaks English and Spanish. Petersen combines his love of storytelling with his design background to create new and fresh styles of visual execution. He continually brings this aesthetic to his short form work in the advertising industry and to the long-form work he has produced and directed. He is a member of the PGA and the Television Academy. In 2015 he won an Emmy for his show FUTURE CATS on National Geographic Channel. Sean is originally from Connecticut. He is a veteran entertainment executive having spent 10 years in the music industry, before spending the last 4 years in the visual design industry. Sean is an all around great guy, but don’t try calling him at 5am. He’ll be at the beach on his long board. Charlie is native Texan and connector by birth and an Angeleno by choice since 1999. He's a proud doggie daddy of two, thrives to connect talent, develop creative and produce content for all platforms. His career has allowed him to work with some of the best in independent film, original music, brand marketing and advertising. As a film and communication graduate from the University of Texas in Austin, he proved to be both a creative and business minded thinker and collaborator. You'll find Charlie's natural enthusiasm and passion to be infectious for all. Crystal was born and raised in Los Angeles, and brings her many years of motion graphics production experience to the already seasoned team here at BIG MACHINE. She’s produced for all types of projects, such as movie titles and trailers, commercials, interactive Web content and award shows. With her attention to detail and obsession with organization, Crystal has never met a spreadsheet she didn’t like. Chad’s midwest charm comes from growing up in Michigan where he graduated from Interlochen Arts Academy majoring in Motion Picture Arts. Since 2009, Chad has been based in Los Angeles working in production, most recently producing commercial spots for brands such as Carmax, Geico and A&E networks. His creative curiosities include SFX makeup and screen writing. His latest goal is to finally learn how to fly.